The best book I read in 2014 is a book about writing and grammar. You are justifiably skeptical, but Steven Pinker is a graceful, funny writer with something important to say—good writing is both natural and organized, at every level. 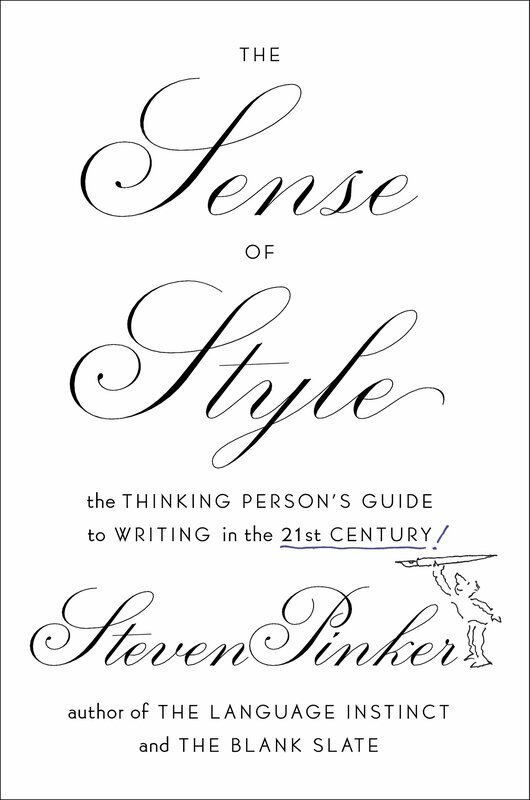 The Sense of Style by Steven Pinker obsoletes all those prissy style guides, including the overrated “Strunk & White”. The only guide that can stand is Joseph M. William’s Style: Towards Clarity and Grace, a detailed carpenter’s manual to writing clear, descriptive prose. The last part of the book, after we have been given the linguistic tools, walks through a laundry list of writing rules, evaluating each one and skewering the unfounded prejudices. This book will be in print for a long time, but read it now. Then read it again. I think that I may have read this book before. I’ve just reserved it at my local library and will be taking another look at it.